The Matthew Lourey State Trail is a multi-use, natural and gravel surfaced trail that spans approximately 80 miles and passes through forests linking St. Croix State Park with Chengwatana, St. Croix, and Nemadji state forests. The entire trail is open to hiking and snowmobiling. The trail is also open to horseback riding and mountain biking; however, only sections in St. Croix State Park are managed for those uses. Some areas may be impassable in summer. The Matthew Lourey State Trail honors the memory and service of Matthew Lourey, who grew up in Kerrick, Minnesota and graduated from Askov High School in 1982. 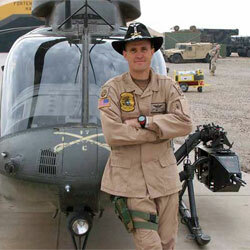 Matt was an accomplished helicopter pilot as well as an avid long distance runner. Matt was killed in action May 26, 2005, when his helicopter was shot down over Iraq. While serving first in the Marines, his career spanned 21 years in the United States military. Matt and his family enjoyed using this trail throughout the years. The trail travels through remote forests and is primarily located on DNR-administered lands, including Nemadji, St. Croix, and Chengwatana state forests, and St. Croix State Park. Common mammals noticed along the trail include whitetail deer, raccoon, red fox, porcupine, beaver, and muskrat. The observant trail user may also spot coyote, timber wolf, weasel, mink, bobcat or black bear. Primary uses of the developed trail include hiking and snowmobiling, and the entire 80 mile corridor is open to these uses. During winter, ATV use is permitted from Harlis Road in the Nemadji State Forest to County Road 173 in the St. Croix State Forest, and in the Chengwatana State Forest as shown on the map. Portions of the trail are also open to horseback riding, mountain biking, all terrain vehicle (ATV), and off highway motorcycle (OHM) riding. Trail segments that are open to ATV and OHM use occur where the trail coincides with other trails designated for motorized use, including approximately 11 miles in the Nemadji and 5 miles in the St. Croix state forests. The trail is generally level but is entirely unpaved, and therefore not ideally suited to wheelchair use. You will need a horse pass if you will be horseback riding, and for snowmobiling, a snowmobile must be registered or have a snowmobile state trail sticker. Non-residents must have the correct non-resident OHV trail pass. No other fees or passes are required to use the trail, although parking in the state parks does require a daily or annual pass. Gafvert Campground and Day Use Area. Across the MN/WI border in Danbury, WI. Chengwatana Road - Redhorse Lot. Chengwatana Spur A - Gravel Pit Lot. County Road 118 (snowmobiles only). Restroom facilities are provided along the trail at the points below. None of these facilities have running water for hand washing, but there is water available at pumps at the Gaffert and Boulder campgrounds, as well as at the Tamarack horse camp. * These are ADA accessible "vault toilets" on a 6'x8' concrete pad. They are not closed in the winter, but they are not plowed or shoveled out in winter months. ** These are one-hole "pit toilets," basically a one-hole classic outhouse. Most are not accessible. They are not closed in the winter, but they are not plowed or shoveled out. Respect private property adjacent to the trail. Camping and campfires are not permitted on the Matthew Lourey State Trail. Minnesota Rules, 6100.3000 apply on the Matthew Lourey State Trail. Primary uses of the developed trail include hiking and snowmobiling, and the entire 80 mile corridor is open to these uses. During winter, ATV use is permitted from Harliss Road in the Nemadji State Forest to Co. Rd. 173 in the St. Croix State Forest, and in the Chengwatana State Forest as shown on the map. You will need ski pass if you will be cross-country skiing, and for snowmobiling, a snowmobile must be registered or have a snowmobile state trail sticker. Your off-highway vehicle will need the proper registration. Non-residents must have the correct non-resident OHV trail pass.